Memorial Day marks the official start of the summer season—that lovely time of year when we emerge into the sunlight and shed all our cold-weather layers. Some of you may be heading to the shore; for those staying behind, this is a great opportunity to get a healthy start to the new season. Princeton Yoga in Skillman is holding two classes on Memorial Day that are bound to help rejuvenate and revitalize you. First is their Power Vinyasa Workshop, from 9 to 11 a.m. This workshop, which is open to students of all levels, will help you detoxify and revitalize as well as gain physical strength and flexibility. Prior yoga experience is helpful. Next is the Restorative Yoga Workshop, from 11:30 to 1:30 p.m. The workshop will include meditation, prop-assisted asanas, and a relaxing savasana. 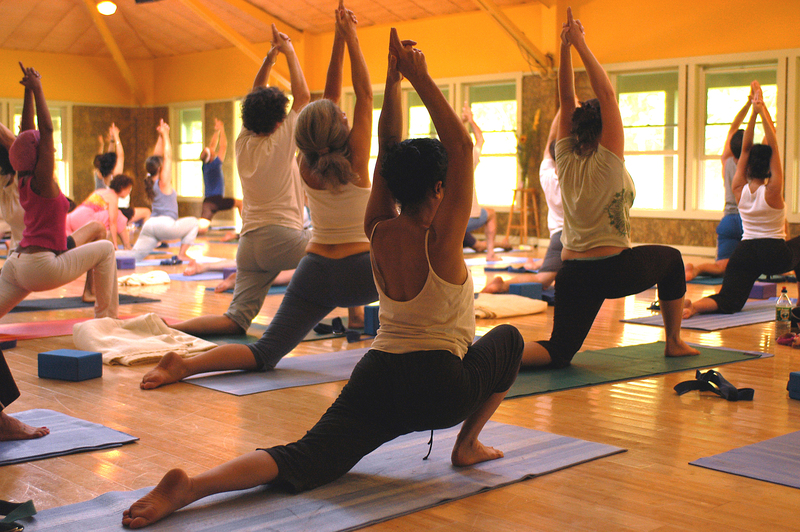 The Vinyasa Workshop is $25 per student, the yoga workshop is $40. Both will be held at the Princeton Center for Yoga and Health, Montgomery Professional Center. 50 Vreeland Dr., Suite 506, Skillman. Dying to get out of town but unwilling to face shore traffic? Spend Memorial Day Weekend at Crystal Springs Resort. Let the kids explore the pool at Minerals Resort & Spa while you get a facial or a massage or hit the links. Kick back with a cocktail, dine in the Chef’s Garden, and dig in at the clambake. If you stay Friday and Saturday, you can also stay Sunday or Thursday for 50% off. Visit crystalgolfresort.com for more info.